According to WHO estimates, about 210 million people around the world suffer Chronic Obstructive Pulmonary Disease (COPD). By 2030, COPD will become the third leading cause of death worldwide. However, whilst this is a huge global health problem, wider public awareness of the condition in the UK is relatively low. COPD and smoking are a deadly combination. If you only do one thing to manage your COPD, stop smoking. Smoking not only leads to COPD, but it speeds up the progress of the disease. Stopping smoking can reduce symptoms of COPD, slow the decline in lung function to a rate that’s normal with ageing & improve the quality of life for anyone, with or without COPD. Giving up anything is hard but having regular support that understands what you’re going through and has the right tools to help, is proven to be more successful than doing it on your own. 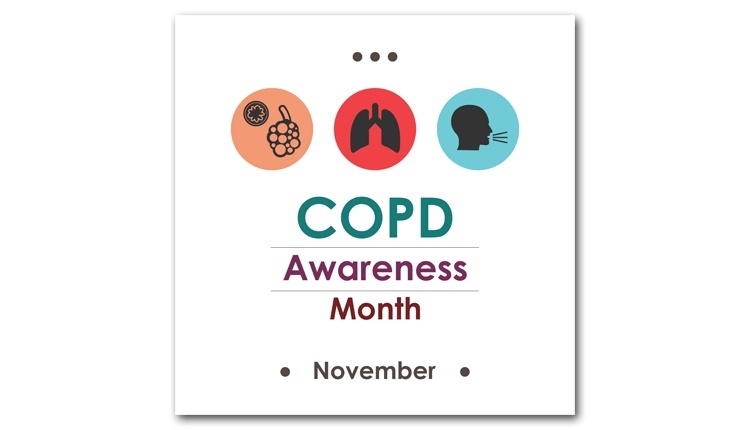 No matter how severe or mild your COPD may be, stopping smoking provides benefit. Ask your doctor or specialist respiratory nurse about nicotine replacement products and NHS Stop Smoking services. You can also call 0300 123 1044 – a free NHS helpline called Smokefree – to speak to a trained expert advisor. 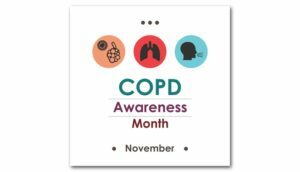 Medication cannot cure COPD and cannot reverse the damage caused by smoking, but medication can help in a variety of ways. It may help relax the muscles around airway, reduce airway inflammation and fight bacterial infections. Your doctor may prescribe more than one type of medication. If the level of oxygen in your blood is too low when you are resting, or if the level drops when you are active, you might need oxygen treatment. This is used to increase the amount of oxygen that flows into your lungs and bloodstream. There are different types of oxygen treatment available, depending on your needs. Ask your GP for advice. Chronic obstructive pulmonary disease, COPD, is one of the most common respiratory diseases in the UK and is the umbrella name used to describe a number of conditions affecting the lungs including emphysema and chronic bronchitis. It usually affects people over the age of 35, although most people are not diagnosed until they are in their 50s. Many people who develop COPD don’t seek medical help because they dismiss their symptoms as a ‘smoker’s cough’. Whilst the main cause of COPD is smoking although some cases are caused by fumes, dust, air pollution and genetic disorders. It can be hard to accept that you have COPD. It’s normal to feel sad or angry. At My Clinical Coach, we want to help people feel more motivated, confident and in control of managing their own health so they can make changes that help them feel better. We specialise in helping people with long term conditions, such as COPD, and have trained nurses just for you, that you can speak to whenever you like, about whatever help you need. All this from as little as £1 per day. If you would like to know more about our service and how we could help you, please click here or call 0333 004 0043.